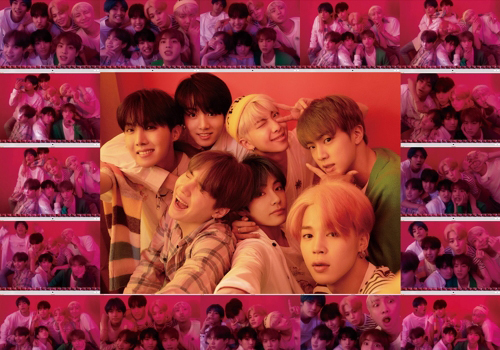 K-pop superstar BTS’s new album “Map of the Soul: Persona” in collaboration with global pop stars is set to be released globally at 6:00 p.m. on Friday. The highly anticipated album consists of seven tracks – Intro: Persona (RM’s solo), Boy With Luv, Mikrokosmos, Make It Right, HOME, Jamais Vu, and Dionysus. The title song “Boy With Luv,” featuring American musician Halsey, is about how true strength and love come from finding joy in the smallest things in life. It serves as a parallel track to the septet’s earlier “Boy in Luv” single. “Make It Right” is another hotly-awaited collabo track featuring Ed Sheeran. The new album aims to reflect its past and present maturity on the single consistent theme of self-pride and humility, according to its press release.